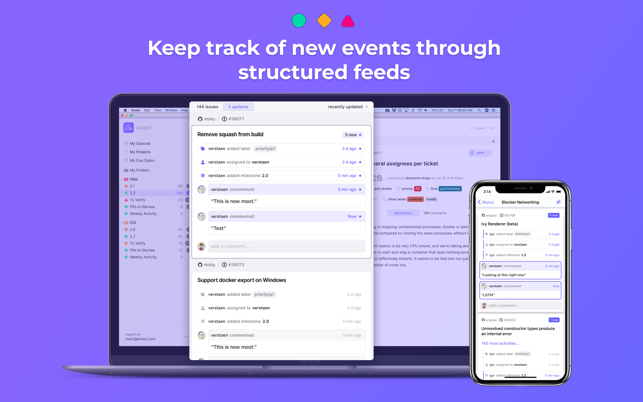 Anaxi is the new way to keep track of all your GitHub and Jira projects, from one fast, efficient & personalizable interface. Anaxi’s feeds will show you activities that happened since your last visit in an actionable way, without missing anything that matters to you. Your data remains secure and inaccessible from within the app. 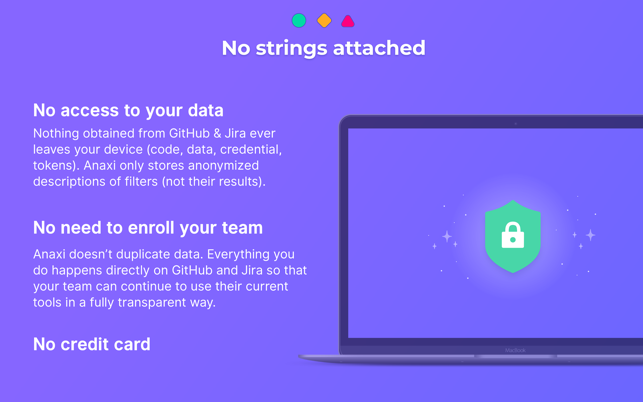 Indeed, the data obtained from GitHub & Jira never leaves your device. The same rule applies for credentials and tokens. Anaxi only stores anonymized descriptions of filters (not their results) for cross-device syncing. 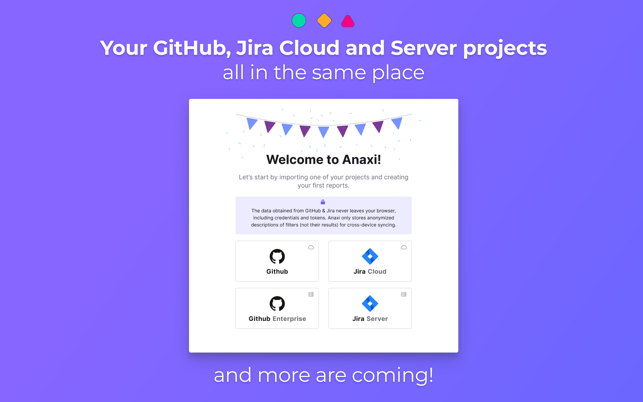 Anaxi is a client for GitHub, GitHub Enterprise, Jira Cloud and Jira Server. - Linux.com: "The ability to see everything so easily and the customizability really draws me in and makes me love the product." 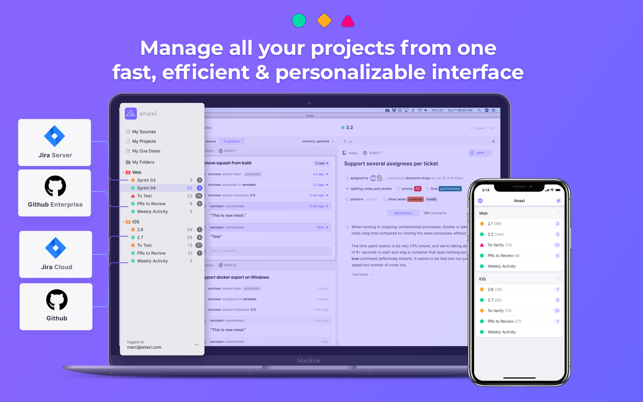 - Connect all your projects from GitHub, GitHub Enterprise, Jira Cloud and Jira Server to manage and keep track of them from one single place. - Turn your project activities into structured feeds, and understand at once what happened since your last session! - Manage your projects directly from Anaxi without needing to enroll your team. You can view the underlying list of tickets or pull requests from those feeds. 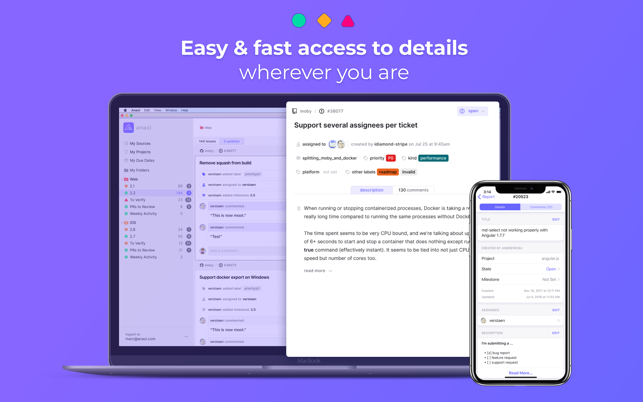 Anaxi lets you manage and edit these tickets and pull requests. All edits will be written back onto your GitHub and Jira Atlassian project. - Work faster with your existing workflow. Organize your GitHub and Jira Atlassian filters into folders so they fit your personal workflow. You get a high-level view at once and be a click away from wherever you need to go. Indeed, Anaxi displays the number of tickets or pull requests in each filter, so you can keep an eye on the different counts. That’s what Anaxi is about. Making your life easier and enabling you to make smart decisions faster. And you can’t do that if you’re worrying about your data! 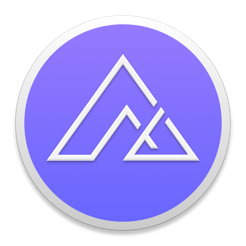 Anaxi is free to use and is also available as an iPhone app. We update Anaxi regularly to improve performance and bring new features. I really love the ability to see the latest updates on a Jira issue. I shut off my email notifications from Jira and now I'm only using this to keep track on updates in the morning. Other than this, it's juste great to quickly create filters and to have them in a flat hierachie—in opposition to Jira, where you have to click a zillion time when you navigate through your filters... Err. Wow a lot of potential!!! I could put all my Jira and GitHub projects, and now I've got a good view of what's going on on all of them. Still missing some features before I can stop using Jira's and GitHub web client though. But the support was amazing, very responsive. Am pretty sure they'll build the missing features soon! !